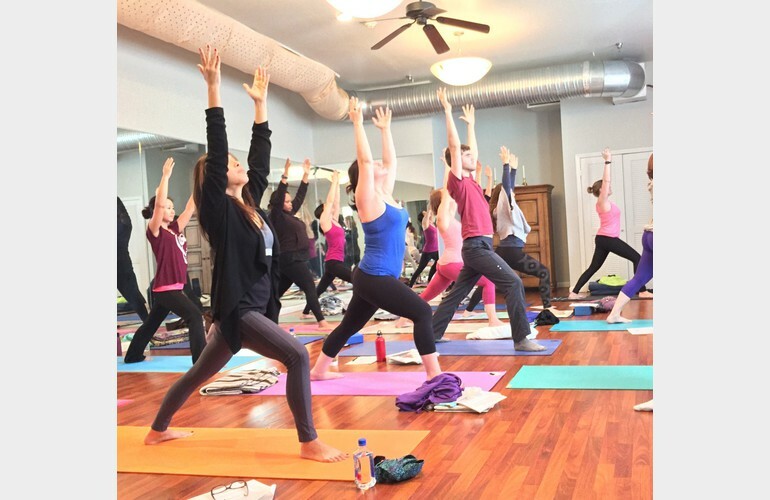 Learn from the best at The American Yoga Academy. The AYA was founded by Claire E. Diab over 25 years ago. A world-renowned yoga therapist, fitness specialist, health and wellness expert and inspirational speaker, she has collaborated with some of the most recognized names in the health and wellness industry for last the three decades. Claire shares her knowledge from her experience and long-time collaboration with Deepak Chopra in developing the teacher training at The Chopra Center for well-being in California. She has shared the gift of yoga with tens of thousands of students around the world. The practices from the world-renowned Chopra Center are now offered right here in their downtown summit studio.